Happy New Year! With the celebration drawing nigh, we’re selecting an espumante from our cellar to enjoy later this evening–but we found a good value choice that might be easier for you to locate, but still a bit off the beaten path. Winemakers in Portugal don’t feel restrained by varieties when crafting their bubbly, so they tend to make a sparkler from the grapes they know best. 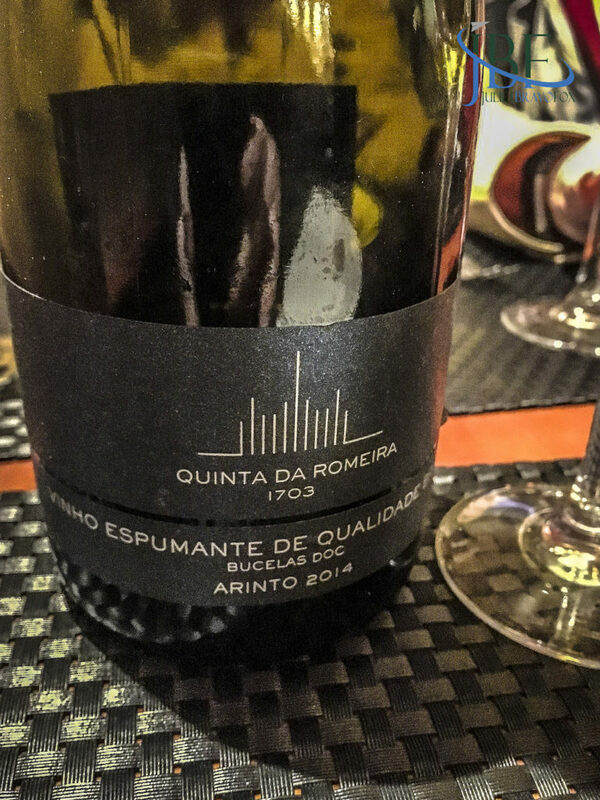 In the case of Quinta da Romeira, in the Bucelas DOC, that grape is Arinto, considered nearly indigenous to the region. We had a bottle at Romaria de Baco (“Pilgrimage of Bacchus”) in Sintra last week with visiting friends, and found it displayed the golden apple aromas and flavors of the grape–making it come close to a sparkling cider. This meant it went very well with our varying petiscos, and its almost-off-dry nature kept it approachable to everyone at the table. 11,5% abv. 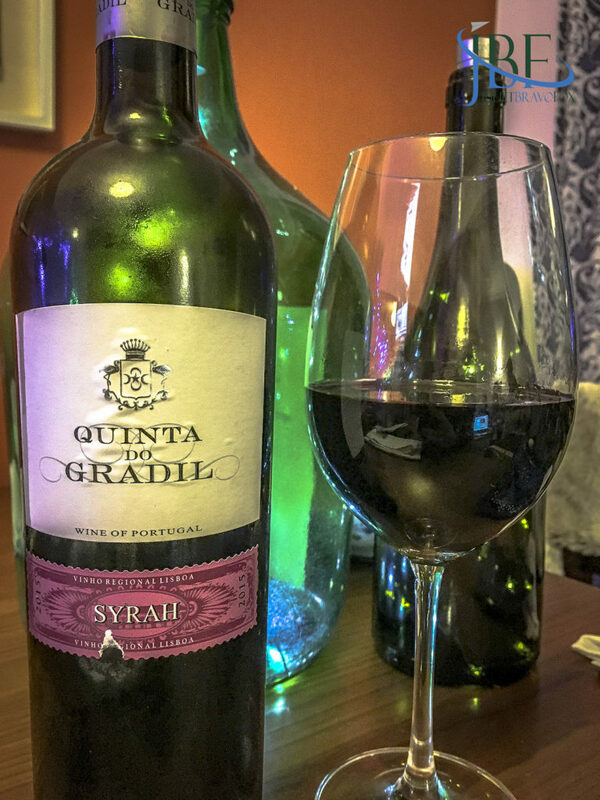 We return to Quinta do Gradil for the first of our holiday wines this season, and a Syrah that more than matched our expectations. The 2015 Syrah spent nine months in French oak, and the aging time shows. Eucalyptus, cedar, herbs, and wild blackberries make up the aromas, while on the palate, brambles, black tea, and more dark berries. The moderate-plus tannins carry through, and I would guess there are a few more years left in the bottle for those who would wish to hang onto one. The moderate mouthfeel is bolstered by a touch of minerality–given the cool climate and proximity to the ocean of the quinta, not a surprise. A deep aubergine wine to enjoy throughout the winter with lamb roasts and other grilled meats–or just on its own. 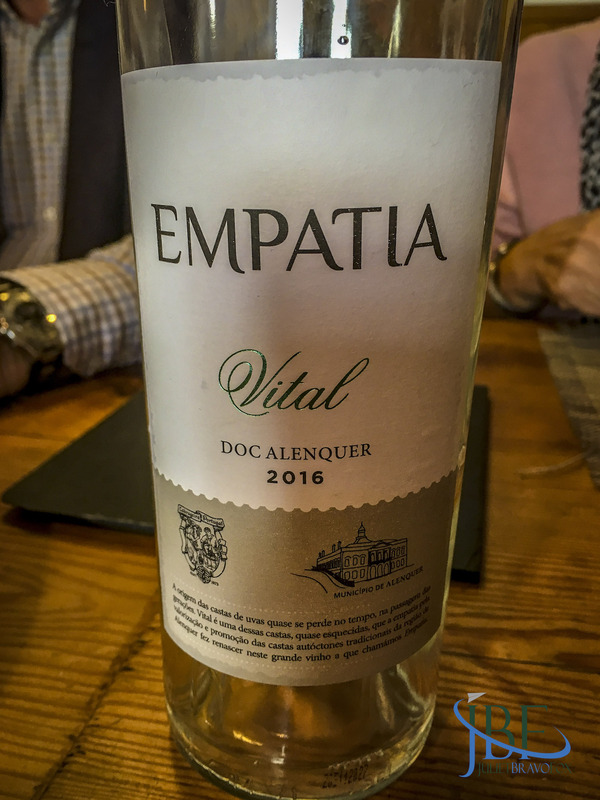 Our second evening in Alenquer in November featured a great meal at Páteo Velho of petiscos and entrées–and of course wines from the DOC to pair with the parade of flavors involved. 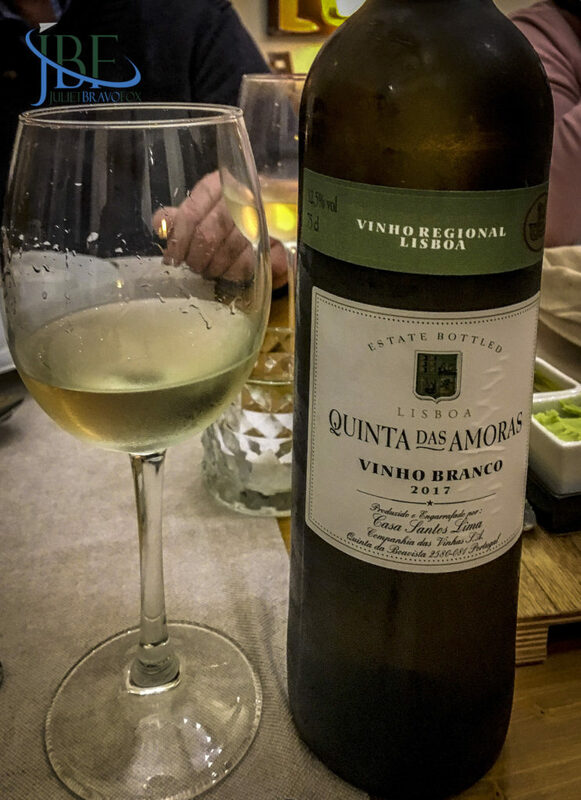 Our hosts chose a red and a white from the Quinta das Amoras series from Casa Santos Lima, the largest export producer of wine in the region. 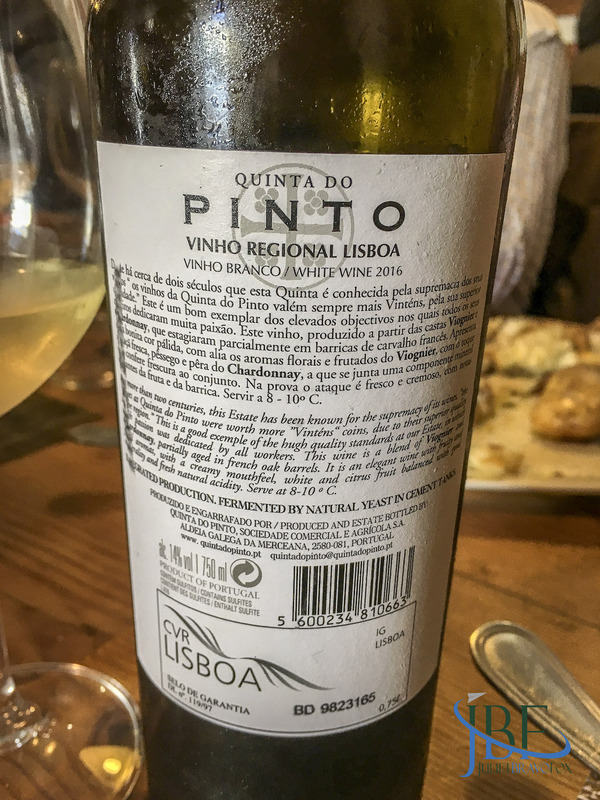 The 2017 vinho branco, of Arinto, Fernão Pires, Vital, Rabo da Ovelha, and Moscatel, was fresh and showed citrus and floral notes, having been fermented off of the skins for a light touch. 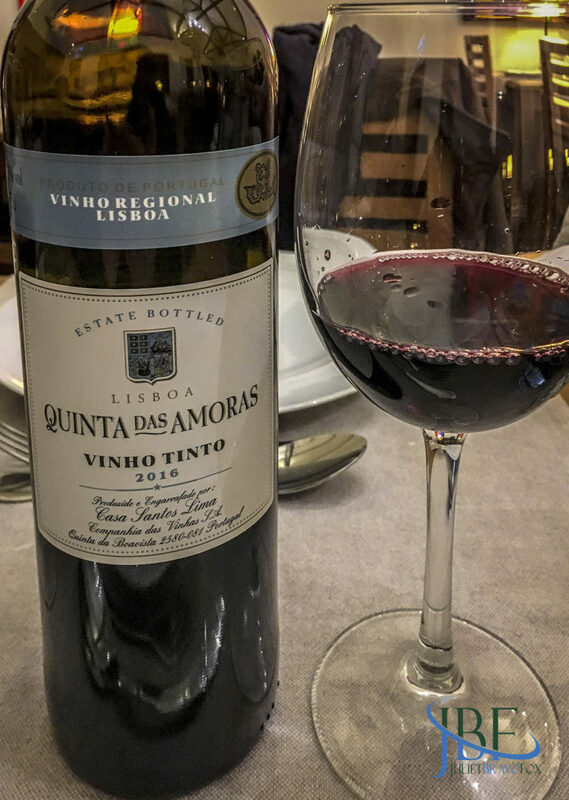 The 2016 tinto, of Castelão, Camarate, Tinta Miúda, and Touriga Nacional, showed dark fruits and some spice from the time in oak during its aging. The two married well with the ovos rotos, fried fish, shrimp, rabbit stew, and encrusted quail dishes that were the highlights of our meal. 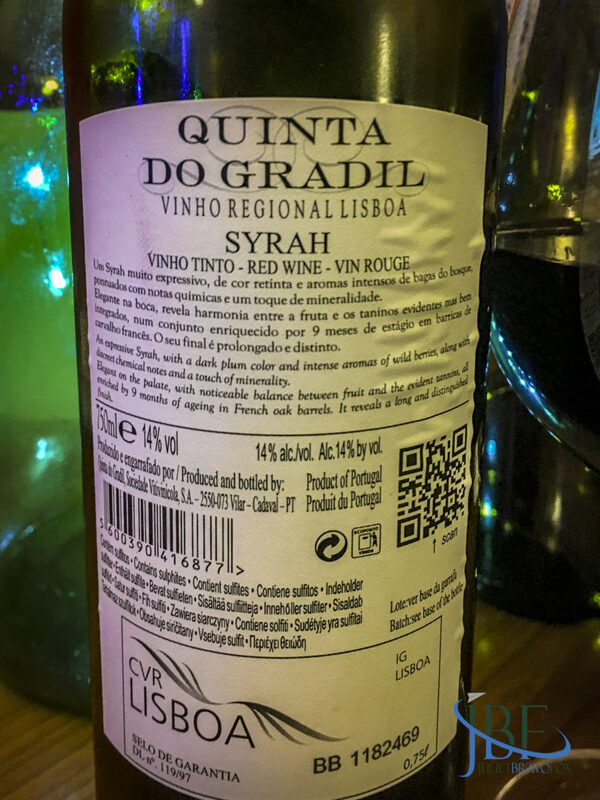 One of the things that we love about modern winemaking in Portugal is the general ability of producers to take international varieties and let them express the terroir, without hewing to a certain style. 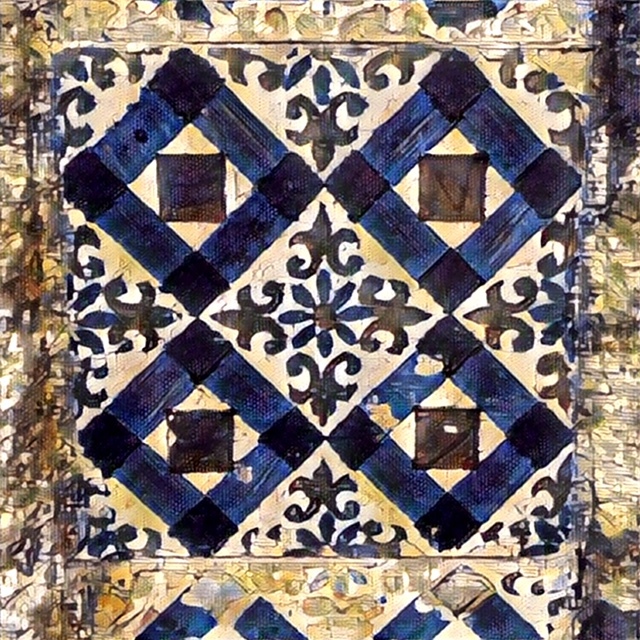 So you will find whites like Viognier and Chardonnay across Portugal in a number of different outcomes. 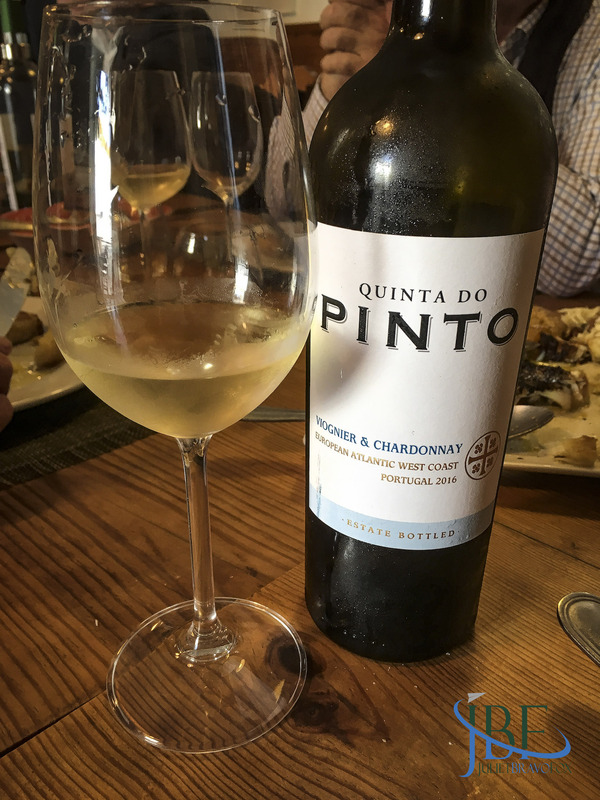 We had the 2016 blend of these two grapes from Quinta do Pinto, in Aldeia Galega de Merceana, at our lunch at Taberna do Areal in Alenquer in November. On the nose, I found the fragrance of sweet peas, with a hint of brioche, showing how the wine had been partially aged in French oak barrels. To taste, quince and pear shone through the medium-bodied white, with a creamy mouthfeel and a lingering finish. Superb with the Bacalhau Gomes de Sâ we enjoyed as part of our almoço. As we wrap up the first year of our weekly wine selection, we’re excited to focus on the wines of the Alenquer DOC and viticultural region of Lisboa. With our lunch last Monday, we asked Joana Moreiro, of Taberna do Areal in Alenquer, if she had a Vital-based suggestion. She offered the Empatia, produced by the Adega Cooperativa da Labrugeira, in cooperation with the Câmara Municipal de Alenquer, and the Instituto Nacional de Investigação Agrária e Veterinária–a pursuit designed to preserve and celebrate the native grapes of the DOC. 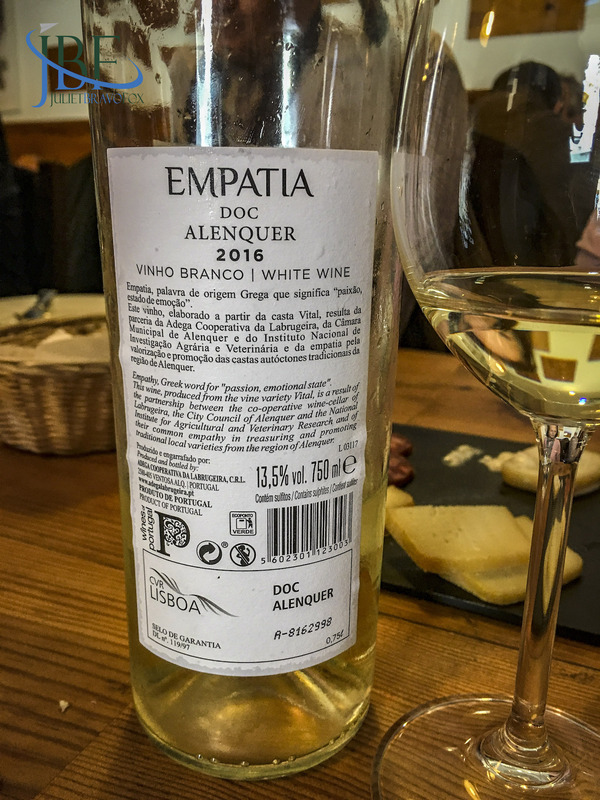 Rich with florals on the nose, of jasmine and others, with a palate of underlying fruit and more forward honeyed tones, this medium-weight white wine went well with our petiscos, including the special brand of ovos rotos served by the taberna. We’ll return for more! 13,5% abv.